Nanc Gordon, a Dallas based painter working in watercolor and acrylic is exhibiting her painting, "Sun Dappled Caladiums” in Global Reflections. Her current work includes a botanical series and monoprints. Reception on September 27 from 7 to 8:30pm. Make your artwork shine with Gold Leaf! Learn Gold leaf techniques from this informative workshop! We’ll start with a demonstration in the morning, followed by hands-on practice in the afternoon. Participants will create their own gold leaf boards under the guidance of an experienced fine art painter. We’ll cover multiple techniques and discuss various applications. Imitation gold leaf will be used for the workshop. Linda McCarley, Vice President of Plano Art Association presenting Nanc with a Merit award. Nanc Gordon, a Dallas based painter working in watercolor is exhibiting her paintings, "Cascading Orchids and “Agave Abstraction” in the juried Plano Art Association show. 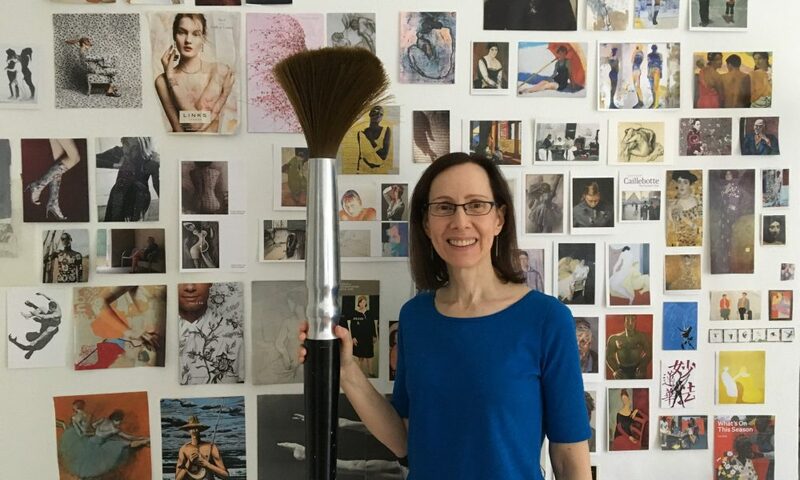 Her current work includes a botanical series and monoprints. July 26th through August 25th. Join me at the reception on August 5, 2017 from 7 to 9pm. InDepth ©nancgordon2106 All rights reserved. Nanc Gordon, a Dallas based painter working in watercolor is exhibiting her painting, “InDepth” in the RCAS membership show. Her current work includes a botanical series. 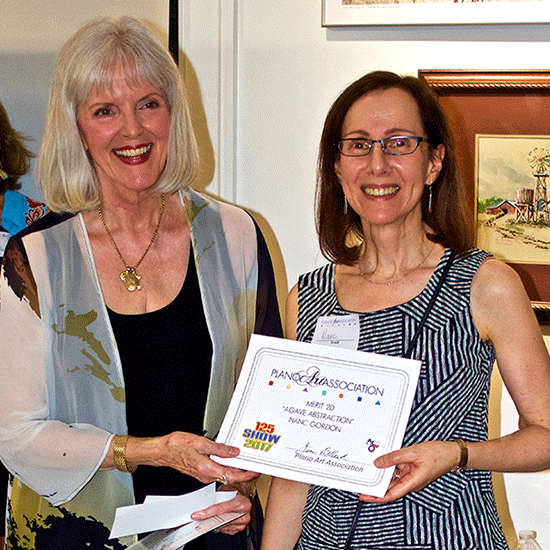 At the Southwestern Watercolor Society Artist's reception on October 18th, 2016, Ms. Gordon was honored with the Southwest Art Magazine Award for her "Cascading Orchids" painting. The juror, Stan Miller said "I love this kind of Georgia O'Keefe simplicity and close up design. The mood, technique and color is wonderful." The award is for a half page ad in Southwest Art Magazine in the coming year. The Southwestern Watercolor Society is a prestigious national organization with over 450 members. Nanc Gordon, a Dallas based painter working in watercolor was invited to show her “Cascading Orchids” painting. Her recent work includes a botanical series. Additional inquires at www.nancgordon.com. Cascading Orchids ©nancgordon2016 All rights reserved.